VERITEC INGENIEROS S.L. is an engineering company which specialises in waters with extensive experience both at home and abroad. 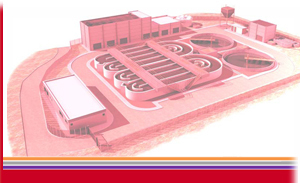 We design projects for all types of supply, irrigation and desalination systems and, especially, Waste Water Treatment Plants, for water of both human and industrial origin which can be adapted to any flow. Within the sphere of engineering we also carry out structural calculations for residential and industrial buildings, as well as urbanisation projects. Other services we offer are work’s managements, health and safety coordination and technical assistance.